Home/News/Isabella. An excellent mother taking great care of her puppies. 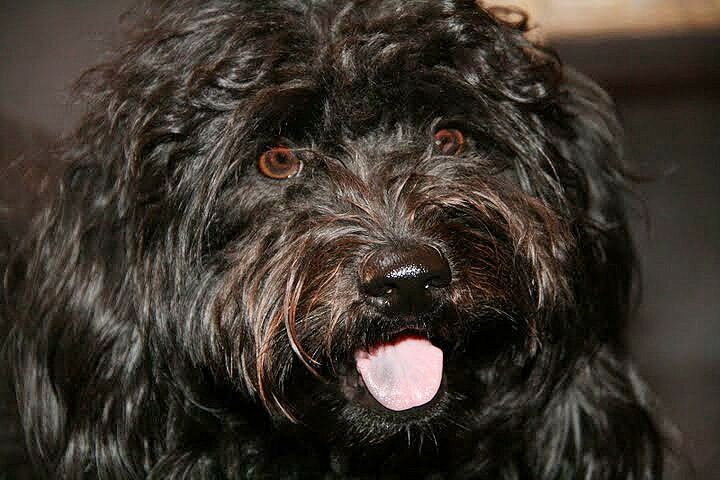 Isabella is a beautiful F1b micro-mini Goldendoodle (her mother was an F1 goldendoodle & father a miniature poodle). She is just about 17 pounds and has a more “blocky” head favoring her Golden Retriever heritage. Isabella had her 15 minutes of fame while appearing on a Huston TV news station as an example of the type of dog the Obama’s were originally considering, since the President and Ms Obama were considering a “hypoallergenic” White House dog. This is another good reason to consider a Goldendoodle. She looks black but is actually a very dark brown when in the sunlight. She is the sweetest spirit and is always trying to please you. She is very smart, loving and loves to play. She is an excellent mother taking great care of her puppies.